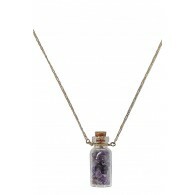 You have added Crystal Cavern Rough Stone Necklace in Amethyst into shopping cart. 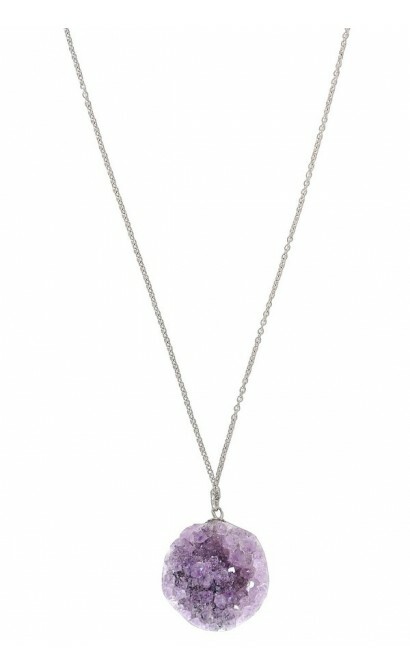 This boho glam necklace features a silver chain with a faux rough purple stone charm. 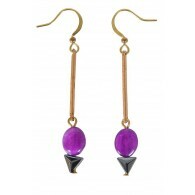 Because the stone charms have been cut individually, they may vary in size, shape, and color. 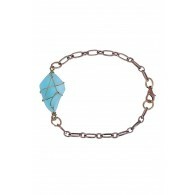 This necklace looks lovely worn with a fitted top or tee and a blazer. Pair this necklace with other silver pendants of varying lengths to create a hippie chic style. 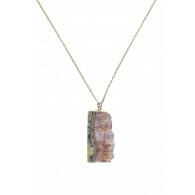 Approximately 15.5 inches in length. 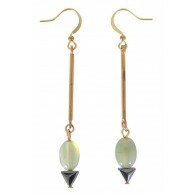 Stone is approximately 1-1.5 inches. 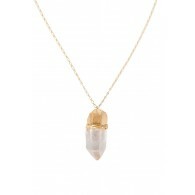 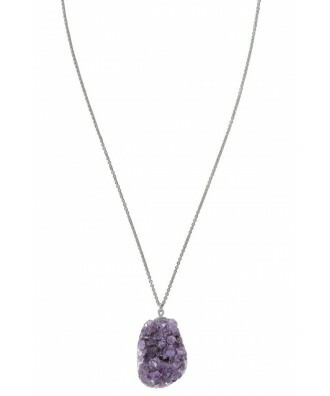 You have added Crystal Cavern Rough Stone Necklace in Amethyst into Wishlist. 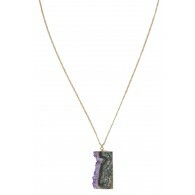 You have added Crystal Cavern Rough Stone Necklace in Amethyst for Stock Notification. 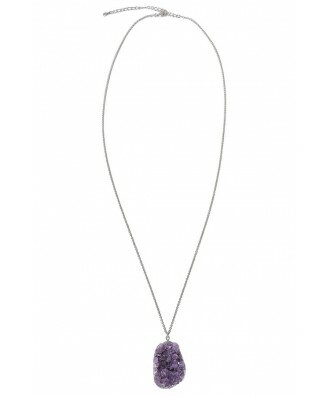 You have set Crystal Cavern Rough Stone Necklace in Amethyst as a loved product. 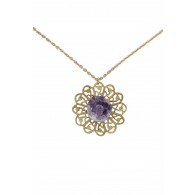 You have removed Crystal Cavern Rough Stone Necklace in Amethyst as a loved product.